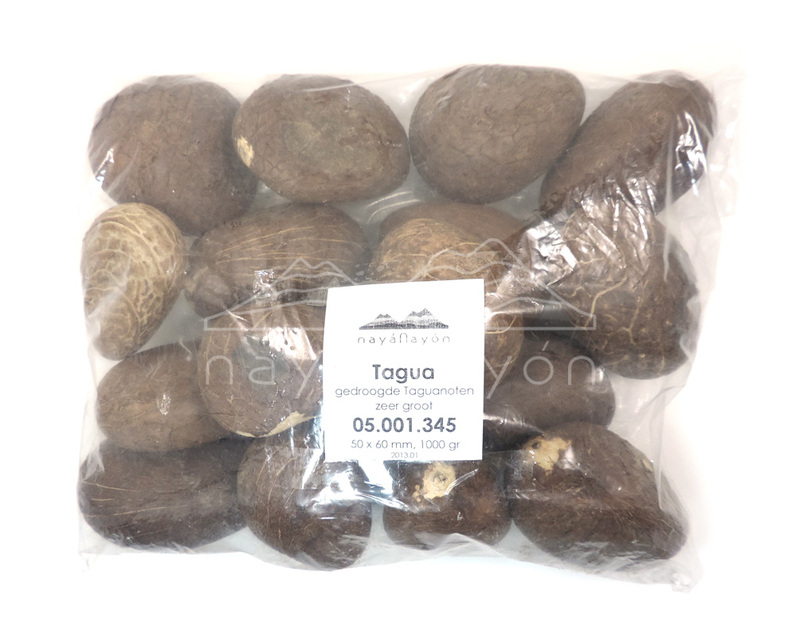 Naya Nayon Quality Tagua Nuts, small Tagua Nuts of 55 to 75 mm in length. Order online. 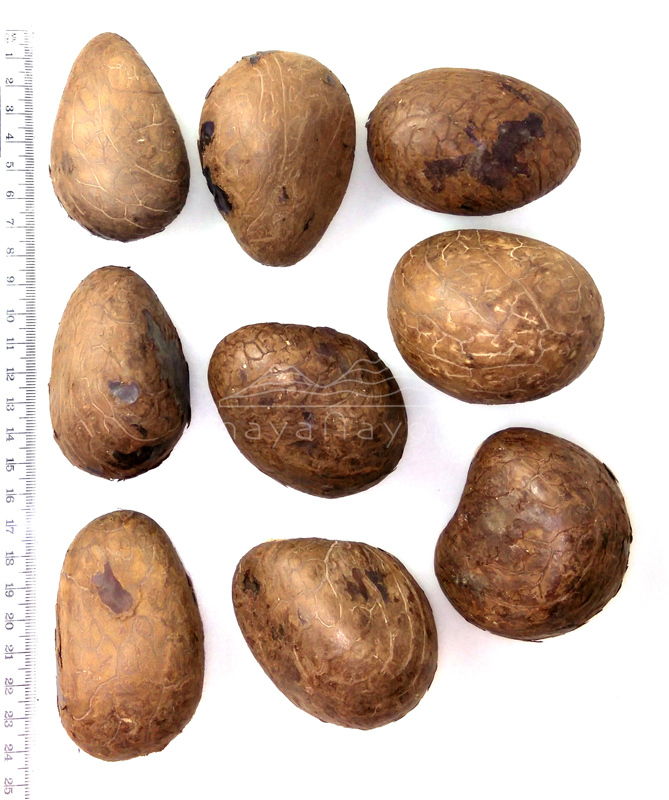 The extra large tagua nuts measure over 65 mm in length. 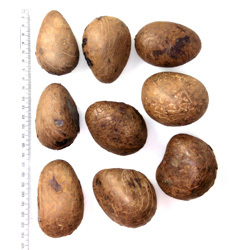 Their weight is about 70 grams per piece, so in a kilo you get about 13 to 16 nuts. The extra large nuts are ideal for carving larger items. Naya Nayon is since 2000 supplier of quality tagua products. 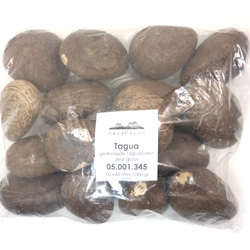 all our tagua is well dried, free of pests, selected and garantueed of first quality. we ship your order from our stock in The Netherlands. shipment of items in stock within 24 hours after ordering. we answer your questions in a day. product not as expected? we refund.